Savage, is ready to mend fences with her estranged hubby, Tunji Balogun aka Tee Billz, Vanguardngr reports. According to sources close to the singer, her body language indicates that she’s ready to reconcile with her baby’s daddy. Already, there have been meetings between both families aimed at a peaceful reconciliation. 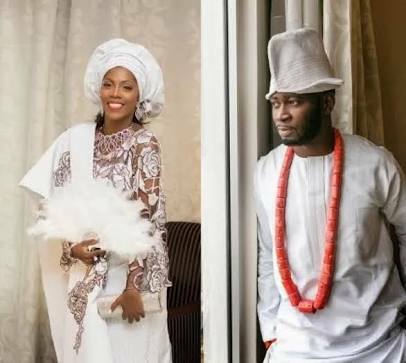 Tiwa is also said to have been meeting with older couples and counsellors who have been advising her to give her marriage another chance in respect of the ‘for better, for worse’ vows she took at the altar. “You can take my word for it that a reconciliation is in the offing between Tiwa and Teebillz. She has told people close to her that she misses Tunji, and she wants him back in her life.